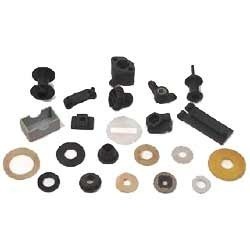 Our organization is engaged in manufacturing Automobile Rubber Parts like Rubber Extruded Profiles, Bushes & Sleeves, Bobbins & Washers etc. 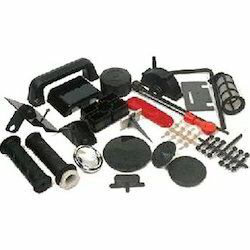 We offer these parts to our clients at reasonable prices in the market. These are available in various specifications and can be custom designed as per the requirements of the clients. Our range is mostly used in various automobile industries for different applications. These are manufactured using premium quality materials and according to the quality standards and norms if the company. Two Wheeler Plastic & Rubber Parts are manufactured using premium quality materials that are sourced from the certified dealers in the market. Our range is available in various sizes, shapes, designs and formats and according to the specifications of the customers. These are accessed by our clients at affordable prices in the market. Our range of these plastic and rubber products is widely used in automobile industries for different kinds of applications. We are specialized in offering Bobbins & Washers to our clients across the nation. These are available in various sizes, colors, shapes and can be customized as per the demands of the clients. Our range is manufactured using superior quality materials and according to the quality standards. These are accessed by our clients at nominal prices in the market. These are demanded in the market for their superior quality and high performance. 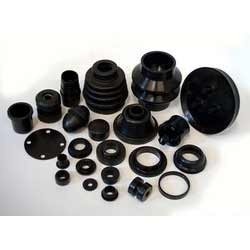 Our range of Rubber Moulded Parts are available in various sizes, shapes and can be made as per the requirements of the clients. We manufacture these using superior quality materials that are sourced from the reliable vendors in the market. These are availed by our clients at affordable prices in the market. Looking for Automobile Rubber Parts ?